Oh! Jobs does not only grant you a free and unlimited service, but also a Japan-quality hiring system. Convenience, in terms of recruitment, does not need to be expensive. We ourselves is a company so we definitely know the struggles of employers in terms of recruitment costs. Because of that, we offer our state-of-the-art Japan-quality hiring system ABSOLUTELY FREE so you can allot your budget to other important things. Here in Oh! Jobs, we give you all the freedom to browse our pool of competitive applicants. Not only that, we are also giving you a chance to invite your prospects using our very own Employer Inbox, before other companies find him or her. 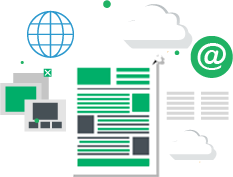 Web design is the very first thing that captures online users. Having our corporate-looking yet stylish interface, we make sure that jobseekers don’t leave the platform after the first click. And when coupled with our user-friendly features, you’ll definitely hire your next employee-of-the-month in no time. In Oh! Jobs, convenience also means getting more advertising out of your purchase. We send a regular list of job matches to jobseekers, delivering your job posts straight to possible prospects. 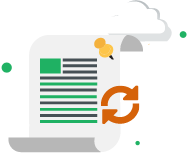 Moreover, here, your job posts do not only reach the users of our platform, we also share them on our social media accounts, making them more far-reaching. Do I need an activated Employer account before I can post a job? How long does it take? You need to have an activated Employer account before you can start posting a job in Oh! Jobs. Once you have submitted all necessary information, please give us up to 2 working days to validate and activate your account. What are the documents needed to validate my account? How do I make a job post? Once logged into the Employer dashboard, check the “Job Posting” tab. Upon clicking the “Add Job” button, the Job Posting form will now open. When does the validity of my post start? Your post validity will start by the time the post is published on the website. You may check the start and end date of the validity in the Job Post details. How can I sort applications? You can filter the applications either by Newest/Approved/Declined Applications, Archived, Hired, Job Titile or Closing Jobs. I am overwhelmed by the bulk of applicants I receive. Is there a way I can manage them more effectively? Oh! 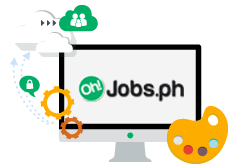 Jobs has a Create Group function under Manage Applicants section wherein you can group your applicants in a way that is most convenient for you. 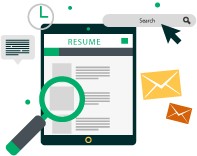 Can I search resume in the jobseekers database? Yes. Search Resume feature will unlock once you upgrade your package. How do I inquire regarding Oh Jobs service? How do I see the social media advertising?